Q-Plus MT EVO represents a real innovation thanks to the best triple active Q-switched wavelengths and the revolutionary Quanta System Mixed Technology. 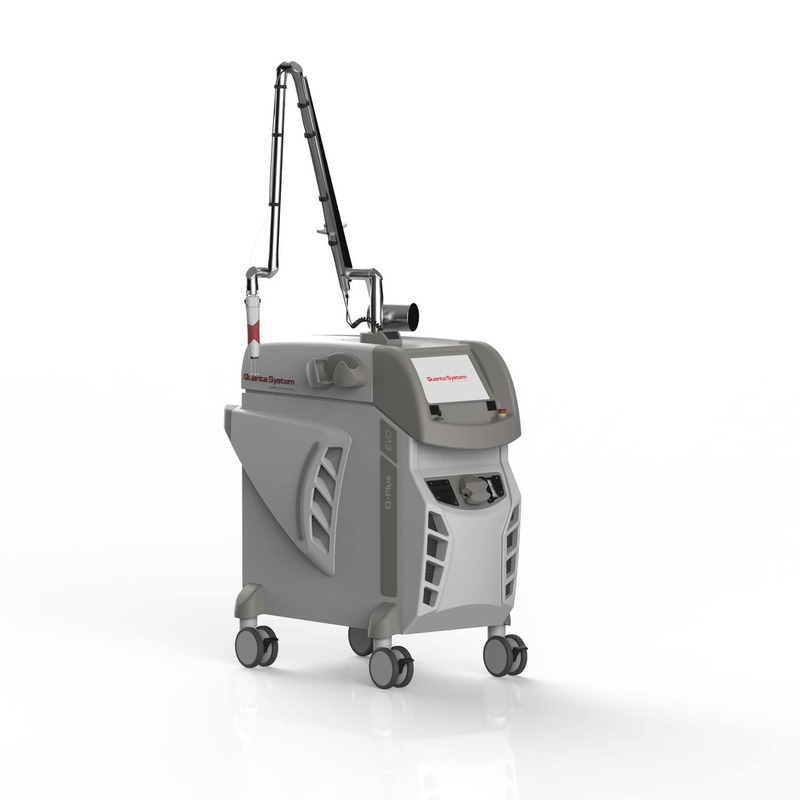 Q-Plus MT EVO is based on powerful Q-Switched Ruby 694 nm, Nd:YAG 1064 and Nd:YAG 532 nm lasers. 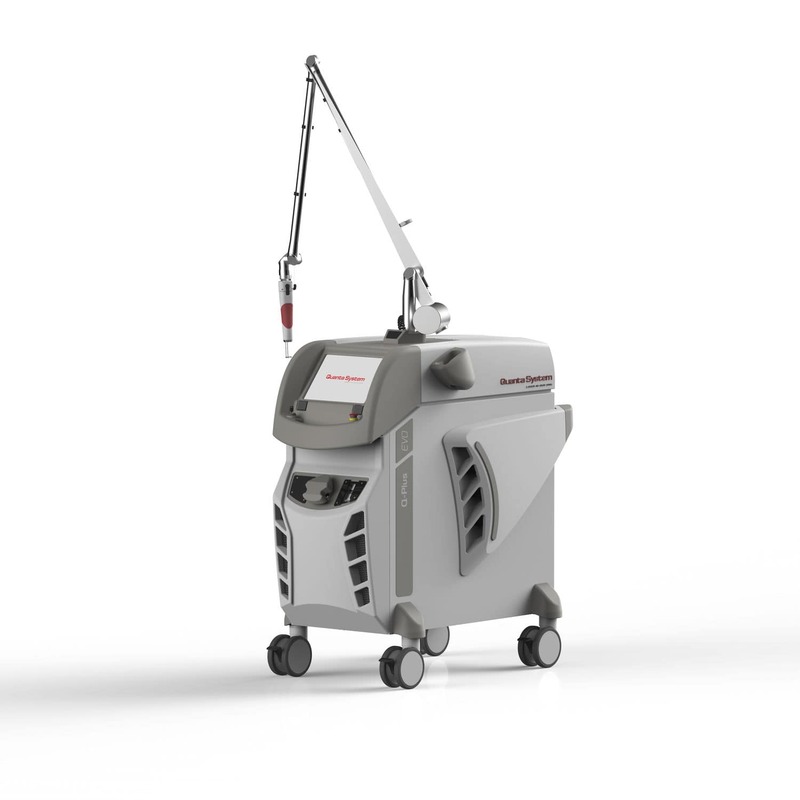 It is able to deliver single, sequential or simultaneous wavelength emissions to ensure a great versatility in clinical applications. 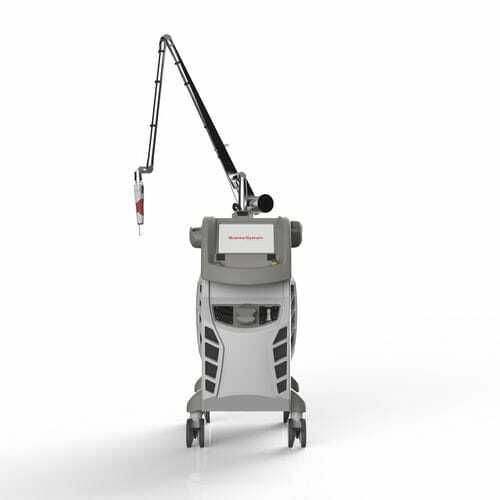 Q-Plus MT EVO includes different Q-Switched lasers which interact photo-acoustically with the tissues, and, by free-running modality, in a Photo-Thermal way. These exclusive combinations make this system unique and capable of treating more efficiently multi-color tattoos, benign pigmented lesions and skin rejuvenation, without using the inefficient and consumables dye handpieces really common in other systems.